Ability to undertake specific projects for different IC & A industry sectors aimed at enhancing and raising their professionalism. Assisting the increase of instrumentation, control and automation curricula content of engineering courses in tertiary institutions – TAFE and University. Opportunity for direct involvement (via Branch Committees and on Federal Council), in shaping the future direction of the IICA with potential to increase the influence and visability of the organisation with policy and decision makers. Professional networking between the whole spectrum of end users with their counterpart supplier and service providers within the neutral vehicle of the IICA. A dedicated Partner Event page on the IICA website to advertise your company’s coming Events or Education courses. ABB is a leader in power and automation technologies that enable utility and industry customers to improve performance while lowering environmental impact. The ABB Group is a global company without boundaries, acting locally in every one of the more than 100 countries in which we do business. Each of our customers benefits from the sharing of ABB's research, supply, manufacturing, distribution, information technology and benchmarking capabilities. Underpinning all the work we do, is our emphasis on safety and quality. The health and safety of our people and our customers is a fundamental part of our commitment to sustainability. We care deeply about how our operations and products effect our employees, customers, contractors and our neighbours. At Able Instrument Service we pride ourselves on being specialists in Temperature and Industrial Pressure Instrumentation featuring the innovative Xp2i Pressure Gauge from Crystal Engineering Laboratories. Instruments with versatility to service Oil and Natural Gas, Nuclear power, Aerospace, Offshore platforms, Agriculture and irrigation, Environment, Research and Plumbing we have the equipment you need to enhance your business processes. ADM Instrument Engineering is a family run business that was established 1986. Since then we have grown to become Australia's largest stockist of Mean Well power supplies, power transformers, industrial transducers and sensors and test & measurement instrumentation suitable for a wide range of different applications. We supply products such as power supplies, LED drivers, position sensors, pressure sensors, load cells to many different industries right across Australia. Our customers include businesses in the medical, food processing and post grad education industries as well as lighting specialists and original equipment manufacturers. But it doesn't stop at stocking and supplying products. - Expertise and consultancy across all of our product range. - Calibration of transducers, sensor and other equipment. - Service and repair down to component level. - Rental/loan of handheld test & measurement equipment. Established in 1984 and with offices located in Victoria, New South Wales, Queensland, South Australia and Adelaide, Air-Met Scientific is Australia's market leader and specialists in the supply, service, rental and engineering of occupational health, safety and environmental monitoring solutions. Air-Met delivers a comprehensive range of product offerings ranging from fixed and portable gas detectors, air sampling pumps, environmental monitoring stations, soil and groundwater instrumentation, dust monitoring solutions to custom engineered solutions. AMS Instrumentation & Calibration Pty Ltd (AMS) has been in existence for more than 40 years supplying calibration equipment and industrial instrumentation to all industries. With more than 225 years of instrumentation experience of staff, we are sure we can offer our customers a solution to their problems. AMS has a proven track record of satisfied customers, which we believe is the true measurement of an effective sales / service organisation. The company has its Head Office in Melbourne, Victoria and offices in NSW, WA, QLD and SA and supplies several of their product ranges into New Zealand, Papua New Guinea and the Pacific region. ANSTO's general purpose is prescribed by the Australian Nuclear Science and Technology Organisation Act 1987 and translated into action through the corporate drivers of vision, mission and strategic priorities. The Australian Nuclear Science and Technology Organisation (ANSTO) is an agency within the portfolio of the Commonwealth Department of Innovation, Industry, Science, Climate Change, Research and Tertiary Education. ANSTO is responsible for delivering specialised advice, scientific services and products to government, industry, academia and other research organisations. It does so through the development of new knowledge, delivery of quality services and support for business opportunities. APC Technology is an innovative leader in the design, manufacture and support of rugged computing solutions for defence and industrial customers globally. For over 30 years we have provided ruggedised solutions for applications performing in the most demanding environments. This includes defence, oil & gas, mining, pharmaceutical, transport, rail, industrial manufacture & process control. Since commencing operations in 1982 APCS has become the leading Australian designer, manufacturer and supplier of reliable signal conditioning modules that have been installed across a wide range of applications including processing operations, Series 200 Transmittersfactories, transport, building automation, mining, power generation, marine, research, environmental and primary production. All APCS products are designed and manufactured to the highest quality standards at Ness Corporation to ensure they meet the often demanding conditions expected from our many Australian and global customers. APCS has built a reputation for quality manufacture and prompt delivery of its products. Bringing together a quality range of products from leading global manufacturers, we offer a complete solution portfolio to service Australian industry. Our key manufacturing partners include Siemens, Weidmuller, Rittal, EPCOS (a TDK Group Company) and Honeywell. Aquip Systems is an Australian-owned, multi-disciplined instrumentation company that has been operating in Australia for twenty years. We deliver high quality products and specialised services to the petroleum, mining, marine, power, manufacturing and processing, and food industries. Auto Control Systems engineers, builds and manages process and control systems for some of the biggest mining and manufacturing companies in Australia and across the world. Auto Control Systems is a premier provider of industrial automation and control systems and services in Australia. Our broad experience in SCADA, DCS and other automation services of all sizes gives our customers a solid foundation on which to base their projects. Each of our customers enjoy improved productivity and efficiency where our automation services have been employed. Auto Control Systems works with local, national and international companies on a range of projects providing them with custom solutions to specific problems. Solar energy systems, building management and automation, plant controls, TUV safety systems, remote telemetry, rail and road transport and power management are all a part of the skill set we offer to our clients. At ACS, we strive for a relationship with our clients that maintain longevity by delivering exceptional electrical services together with incomparable customer service. We provide a first class workforce that is trained to exceed current industry standards. In order to provide the highest quality service, we ensured that we have the appropriate framework for both our technical and office staff, respectively. The Balluff product range is supported throughout Australia and New Zealand by a professional team of highly skilled sales engineers, technical specialists and a world-class customer support team. Using their practical experience and expertise, solutions are tailored to customer needs resulting in improved manufacturing processes and lower costs. This could be in form of an individual sensor required for detection in an arduous environment or a complete machine connectivity system using the latest Industrial Networking technology. Areas of application include Object Detection, Linear Position Sensing, Industrial RFID, Fluid Sensors and Industrial Networking. Balluff sensors utilise inductive, photoelectric, vision, ultrasonic, capacitive, pressure and magnetic technologies to solve your automation object detection applications. BARTEC, one of the world's leading solution providers of industrial safety technology, we are able to provide custom solutions for Hazardous Area equipment as well as off the shelf product lines for machinery and plant manufacturers, engineering and operating companies in the Chemical, Oil and Gas, Petrochemical, Mining, Pharmaceutical, Food and Beverage, Grain, Energy and Environment Sectors. We have a vast product portfolio, ranging from Explosion-Proof Components and Automation Systems, Electrical Heat Tracing, Motors, Communications Systems, Analysers and Measurement Systems, Control and Connection Equipment and more recently with the introduction of Mobility devices. Our new intrinsically safe mobile solutions are explosion proof and rated for use in hazardous areas, enabling companies to make major improvements in efficiency, productivity and safety. Belden is a world-class manufacturer of signal transmission products - primarily for the entertainment, residential, industrial and security markets. Belden is one of the largest U.S.-based manufacturers of high-speed electronic cables and focuses on products for the specialty electronics and data networking markets, including connectivity. Belden products represent the company's commitment to providing an unparalleled selection of reliable cable products. To achieve the optimum solution to a specific application need, a customer-centric design team can also be assigned to you. Burkert Fluid Control Systems is the industry authority in fluid control technologies, with 60 years global experience delivering German-manufactured solenoid valves, process valves, process pneumatics, sensors, microfluidics, mass flow control and proportional valves. Burkert Australia has fused these products with local engineering expertise to design, build and deliver field instrumentation and automation solutions With 30 years in Australia, Burkert has extensive local experience with food & beverage processes, water treatment, manufacturing and process systems. Burkert has built itself a reputation as an innovator in the field of fluid control, investing considerable resources in research and development annually. Burkert is dependable, creative and original, ensuring closeness to the client's way of thinking and going the extra mile to ensure best-practice solutions. CAC Gas & Instrumentation was established in 2008 to provide Australian and New Zealand customers with exceptional customer support when sourcing calibration and specialty gas mixtures. With over 75 years of experience in calibration gases, gas detection and gas analysers, CAC brings practical knowledge and skills in understanding customer requirements and providing solutions that exceed customer expectations. Leaders in providing unique solutions, CAC GAS takes the time necessary to properly evaluate and understand customer applications and objectives in order to provide the most efficient and cost effective solution possible. CAC provides specialty calibration gas mixtures in multiple cylinder sizes focusing on the application to ensure customer requirements are maximised. With a focus on exceeding customer expectations, CAC provides customer solutions for the largest and smallest of applications with the same focus and determination to excel. CAN Automotion provide services and products for the implementation of distributed, intelligent systems in automotive and industrial automation. Our specialization in CAN-bus provides you with a product range that supplies Windows-based starter kits and a comprehensive text to freely programmable controllers for vehicles and machines. We are providers of system solutions for many different fields of application. With one of the most comprehensive ranges of hardware and software products for data communication in the industry, engineered and manufactured in Germany, we have earned a worldwide reputation for performance, high quality, product longevity, in-stock delivery, impeccable customer service and technical support. Design and development of innovative and high-performing solutions are a special capability for which Can Automotion typically supplements its customer's objectives through all phases of their product life cycle including development of service tools. CellTec sells a complete range of engineering, industrial safety, software and electrical products for control and automation systems. With over 20 years of experience in Australia, CellTec understands what your business needs! CMC Technologies supplies industrial instrumentation for all industries. We distribute products by reputable manufacturers mainly from Europe, USA and Japan. CMC provides solutions in the fields of Dust and Gas Explosion Prevention and Protection, Pressure Relief, Flow Measurement, Vision in the Process and general Process Instrumentation. Our office and warehouse in Alexandria, NSW holds stock including Mid-West Instrument differential pressure gauges and switches, Brilex explosion vents and sensors, Advanced Couplings clamps and sanitary flow components, Lumiglas and Metaglas luminaires and sight glasses, Newson Gale static earthing clamps, cables and systems as well as various flow meters. Any items not in stock are ordered from our extensive network of manufacturers around the world with varying lead times based on their stock levels and the complexity of your product. We employ qualified Chemical, Mechanical and Electrical Engineers in our Sales and Technical support Services. From humble regional beginnings, Colterlec has grown to provide a true national level of service, support and supply for both our valued customers and supply partners throughout Australia. Not only do we try to meet our customer's expectations, we endeavour to exceed them! Founded in 1981, we're one of Australia's leading suppliers of industrial, electrical and automation products, services and solutions. Australian owned and operated, and ISO 9001 certified, we service thousands of industrial customers around Australia. From electrical contractors to wholesalers, OEMs to engineering consultants, switchboard manufacturers to mining, electrical and gas utilities. As you'd expect, our product catalogue is also incredibly diverse with more than 100,000 products across 17 broad categories. It includes programmable logic controllers, power supplies, networking equipment, sensors, digital displays, controllers, relays, variable speed drives and much more. But there's more to technology than technology itself. Whether you're planning a solution, buying or integrating, passionate people and genuine expertise are the real key to success. Operating out of the Brisbane, Queensland head office, CT Oceania supports the extensive install base of CTI 2500 Series PLC platforms within Australia. CT Oceania is a Network Partner of Pilz Safe Automation and Australian distributor of Control Technology Inc (CTI), FasTrak SoftWorks Inc, Parker Automation, CT Oceania supplies all the products, services, and support to ensure customers' investment in our products are protected. We provide software and services in the areas of HMI/SCADA, operations management, alarm management, process data analysis, PID loop monitoring and tuning, modelling & simulation, advanced control & optimisation, expert systems, quantitative risk assessment, systems integration and custom software development. - Daesim Dynamics a general purpose equation-oriented dynamic modelling and simulation software package. - AlarmPT for alarm system management. - Risk Assessor an integrated risk assessment tool for potentially hazardous installations and operations that can be used to assess the impact of events such as liquid and gas releases, pool formation, fires, explosions and gas dispersion. The products we resell include PlantESP and LOOP-PRO by Control Station for control loop performance monitoring and tuning. Since the company was founded in 1931, customers have come to recognize Dwyer Instruments to stand for quality, reliability, and readily available low cost products. As a leading manufacturer in the controls and instrumentation industry, we continue to grow and serve major markets including, but not limited to HVAC, Chemical, Food & Beverage, Pharmaceutical, Oil & Gas, Wastewater and Pollution Control. New applications are discovered daily through a cooperative effort between Dwyer and its customers. It has been these relationships with our customers that allow us to continue to develop market demand products and further our success from leading established brand names such as the Magnehelic pressure gauges, Photohelic switch/gauges, Rate Master flowmeters and Hi-Flow valves. In addition to new product development, Dwyer has added to its success through several acquisitions and has achieved additional market recognition. Eaton is a leader in reliability, efficiency and safety with the development and supply of Crouse-Hinds series MTL system infrastructure products and protection equipment especially suited for process industries. Many of the world's most safety-critical processes are monitored, controlled, visualised or protected by our MTL products and we are distinguished by our global network of sales and support centres, ensuring you are always safe in our hands, wherever you are. We have a wealth of knowledge and expertise alongside an enviable reputation as a leading global provider of intrinsic safety explosion protection devices and systems for use in process control applications. Key applications also include fieldbus and industrial network components, HMI and visualisation, surge protection, alarm management and gas analysis. To add to this Eaton is the first supplier of process instrumentation to be certified as a Functional Safety Management (FSM) company. For over 26 years EDAC has supplied product and solutions nationally and internationally into a wide variety of industries and applications. EDAC prides itself on exceptional customer service and product solutions that best fit our customers requirements. We supply, install, commission and maintain all equipment as well as providing experienced, professional advice and support. In a time when software solutions for automation are becoming increasingly difficult to understand, navigate and select, it's good to know that there is someone with a pragmatic approach to getting the job done. Achieving improvements to productivity requires more than just a software solution. They require an understanding of your issues and processes. EfficientIA has the ability to take your input and move to a resolution. The consulting and technical staff have decades of experience in these exact fields. Reaching your goals is more than just buying software. Its also about listening. The Consultancy and Technical team have decades of experience in these areas and are ready to help you. Electrical Engineering Equipment Pty Ltd is a locally owned company, based in Wollongong NSW, supplying specialised quality electrical products and innovative solutions and services to the mining, medium and heavy industrial, materials handling, instrumentation, crane equipment and manufacturing industries. We distribute and support products for a number of International and Australian companies including: Capacitor Technologies, Cavotec, Conductix-Wampfler, ERICO and Sunlec International. ELPRO Technologies has been one of the leading manufacturers of industrial wireless products worldwide since 1983. Applications for ELPRO products are found in all industry sectors including, but not limited to Petro-Chemical, Oil and Gas, Mining, Power Generation, Steel, Pulp & Paper, Manufacturing along with Water & Wastewater industries. Based in Brisbane, Australia, ELPRO has continued to grow worldwide and now has established sales offices in the USA, UK, and Brazil, and sells through authorized technical distributors in over 50 countries and on all continents. Toll-free 24 hour factory support is provided at no cost to distributors, integrators and end-customers. ELPRO has achieved market recognition and sales success by supplying innovative industrial wireless products including: Wireless I/O, Serial & Ethernet Modems, & Wireless Gateway modules. ELPRO is the first industrial wireless manufacturer in the world to offer a lifetime warranty on all of its modules. Running a process operation means constant pressure to cut costs, increase output, reduce energy use and emissions, and improve safety - all while managing increasingly complex operations. That's why our customers around the world turn to us not only for automation technologies, but also for engineering services to help them plan, implement, and support their operations. With more than 7,500 industry experts around the world, we help solve the problems our customers face today and build an advantage for tomorrow. With more than 25 years of leadership in developing reliability-enhancing technologies and services, Emerson's expanded global reliability management consulting practice guides leaders on how to better manage maintenance costs, improve reliability, and increase profitability. EMT OMEC, Australia's long standing Electric Motor and Service company is very proud of it's Australian heritage stretching back over a quarter of a century. From humble beginnings as a motor Rewinder it is now part of a Global EMT Organisation. At Endress+Hauser Australia we are invested in our customers success. We offer some of the most advanced motion control, industrial automation devices, instrumentation, and SCADAsolutions available, supported by a team of Engineering professionals integrating and commissioning these into systems, every day. Our team of Engineers delivers conceptualisation, project management, detail design and programming of electrical and automation systems, installation support, commissioning, and of course, follow-on support. We have only grown from strength to strength since 1996, delivering systems that work, without fuss, and regularly exceed expectations. We hope to share our successes with you. From industrial electronic installation, maintenance and service, to precision measurement and quality control, Fluke tools help keep business and industry around the globe up and running. Typical customers and users include technicians, engineers, metrologists, and computer network professionals � people who stake their reputation on their tools, and use tools to help extend their personal power and abilities. In this digital age, where our minds and ever-evolving technology are the limits to productivity and innovation, the threat and sophistication of digital compromise is on the increase. Focus Cyber Group is a Managing Consulting organisation providing Information Technology (IT) and Cyber Security advice, management and intelligence services to help organisations make decisions about and manage the protection of information and data within the organisation's risk appetite. We are about practical advice and protecting your key assets. We work in both the IT and Operational Technology (OT) domain to help each organisation to secure their digital investment, with the sensitivities and criticality of these systems in mind we work with stakeholders to identify and increase the effectiveness and efficiency of people, process and technology, utilised to achieve business requirements and outcomes. GE Energy Measurement & Control Pty Ltd is a leading innovator in sensor-based measurement, non-destructive testing and inspection, asset condition monitoring, controls solutions and radiation measurement. We deliver accuracy, productivity and safety to a wide range of industries, including oil & gas, power generation, aerospace, transportation and healthcare. We have more than 40 facilities in 25 countries around the world and are part of GE Energy Services, which provides cleaner, smarter, more efficient solutions for its customers. Project Assessments to help customers identify high value opportunities and post audit completed projects. Traditional Regulatory Control Expertise to optimise the performance of operating plants and ensure that maximum production and operability is achieved from designs for new or modified plants. Advanced Control Application Development including Regulatory Control Optimisation to maximise APC performance and Product Quality Inference Development to maximise project payback. Online Dynamic Optimisation where dynamic co-ordination of multiple Advanced Control applications is required or the optimisation needs are beyond the linear capability of most Advanced Control technologies. Group Instrumentation was formed in 1997 to satisfy industry requirements for minimal maintenance, in-situ continuous emission monitoring products and systems. Requirements for Continuous Emission Monitoring Systems are increasing each year and for industry the challenge is to select a system that is cost effective and reliable while conforming fully to environmental legislation requirements. Group Instrumentation's range of emission monitors include PCME Particulate Monitors, Procal Multi-gas Analysers, testo Portable Flue-gas Analysers and the Australian made Novatech Oxygen Analysers. Backing up this range of superior technology instrumentation is a reliable, knowledgable and helpful commitment to service. For more than 60 years, we've been at the crest of the industry finding solutions that help you best manage your water. Our analytical instruments and reagents are used to test the quality of water in a variety of industries and markets from around the corner, to around the globe. Water analysis has to be right. You deserve complete solutions you can be fully confident in. Hach is your resource for expert answers, outstanding support, and reliable, easy to use products. Founded in 1945 in Minden, Germany, HARTING currently employs a workforce of about 3,400 employees worldwide. With subsidiary companies in 40 countries, HARTING is committed to maintaining close proximity to markets and customers. HARTING Australia office was inaugurated in November 2008 - the customer base comprises of companies out of various industry for instance railway, transportation, mining, automation, machinery, energy, marine and telecommunication. In addition to our direct relation to major OEM customers and End-Users, HARTING Australia, maintains also an authorized distributor network, which covers the entire ANZ region. Hatch is an employee-owned, multidisciplinary professional services firm that delivers a comprehensive array of technical and strategic services, including consulting, information technology, engineering, process development, and project and construction management to the Mining, Metallurgical, Energy, and Infrastructure sectors. Hatch has served clients for over 80 years and has project experience in more than 150 countries around the world. With 9,000 people in over 65 offices, the firm has more than $35 billion in projects currently under management. Hatch was recently named one of the 50 Best Managed Companies in Canada, and has won more than 30 project excellence and safety awards. The Project Management Institute recently presented the prestigious PMI International Project of the Year Award to Hatch. 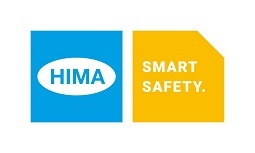 HIMA Australia is a subsidiary of HIMA - the world's premium safety system engineering company. What makes HIMA solutions unique is the combination of maximum safety and maximum availability - or, as we call it, "Safety. Nonstop." That is because it is only with safe, uninterrupted operation that our customers can achieve their business aims. HIMA Australia solutions are based on practically-focused functional safety consulting, wide-ranging application experience, a comprehensive product range and the ability to integrate safety solutions into almost any automation environment. That is how we help our Australasian customers to use advanced safety to go to the next level in meeting their business objectives. We can provide state of the art industrial equipment and also offer customers sound advice, consultation and technical backup. With a team of qualified engineers with extensive product training and experience. We can offer a complete service, from equipment selection, through to installation, commissioning and maintenance. With offices and service facilities located around Australia and in New Zealand. We are ready to assist you from the project inception stage, right through contract engineering to installation, commissioning and full maintenance support. Your local Hydraulic Motion and Control Provider - Hydraulics and fluid power engineering are an integral part of many of the machines used in a wide range of industries, from offshore and mining to defence and many more. When you are looking for high-quality industrial hydraulics or mobile hydraulics, whether complete systems or components, check out the product range on offer at HYDAC, available worldwide. Quality Hydraulics Australia Wide - HYDAC covers all areas of fluid power engineering and motion and control. Among our extensive hydraulic product range, we offer accumulators, valves, hydraulic pumps, electronics, filter systems, cooling systems, and many more. All of our hydraulic systems are designed and manufactured in Australia using premium quality components made in Germany. I S Systems is an Australian based electrical Engineering company which specialises in industrial automation and variable speed drives. We provide innovative solutions for electrical engineering applications, based on our specialised knowledge and process know-how gained through extensive experience across a broad range of industry sectors. Through specialist knowledge and an understanding of our clients process fundamentals, I S System's engineers are able to tailor electrical automation systems to the client's particular needs. ifm efector provides customers with German engineered and manufactured sensor and control solutions for automation. Our product ranges include position sensors and object recognition, fluid sensors and diagnostic systems, bus systems and identification systems, control systems and connection technology. Our commitment to you includes providing our customers with quality, innovation, and service, including on-site application support and qualified engineering support. We offer the convenience of shopping for sensor and control products 24/7 via our online ordering system e-shop (www.ifmefector.com.au/eshop). Being a global company provides you with confidence ifm will be there to support you in the long term. We are one of the only suppliers to industry that holds extensive stocks in our central warehouse to provide you with delivery within 24 hours in Australia and New Zealand for products ex-stock under normal circumstances. Norgren/IMI Precision Engineering provides a comprehensive product range for chemical and other industrial processes. They are designed for easy integration into both newly developed and existing applications. Norgren has decades of experiences with chemical and related process technologies. Our HERION and Buschjost brands have gained worldwide reputation for superior quality and reliability. The Herion 24011 Series of Solenoid Valves were the first Solenoid valve to obtain TUV Certification to IEC 61508 SIL 4. Our highly flexible manufacturing processes allow fast and safe realization of individual solutions, tailored to specific customer requirements. Norgren chemical and process technologies comply with International Certification including IEC Ex, ATEX, Aus Ex, FM, CSA and etc, which allows the implementation of our solutions on a global scale. Founded in 1972, IMO has grown from its UK base to become a global manufacturer and supplier of industrial control and electronic components and systems. Our history is one of innovation. Whether it is the first ever BT Type 47 Approved relay or the first ever compact AC inverter for motor speed control, IMO has always been focused on breaking barriers. Our quality assured manufacturing sites ensure IMO products continue to be recognized for quality and reliability. Backed by unique warranty periods of up to Five Years and in compliance with all relevant international standards and approvals, customers specifying IMO products can do so with the knowledge and security that they are making a no compromise selection. INDRATEL engineer innovative solutions and provide after-market service across a wide range of high-quality process control, measurement, telemetry and automation products. Whether it be analytical, metering, skid, telemetry, SCADA or a control system, INDRATEL can provide and support you through the various project phases; Pre FEED, FEED, detail design, project management and supply. ICT is a Geelong-based specialist automation engineering enterprise focused on the use of technology to monitor and control the operation of industrial plant and processes. We are committed to the creation of �world class� solutions and thus to helping to drive a sustainable future for Australian industry. We think: strategically and laterally, to design practical, innovative solutions that meet compliance, production and budget requirements. We create: high-quality, reviewed, engineering documentation that translates the thinking into functional on-site integrated systems. We integrate: technology with existing systems, processes, and ideas by working with people to achieve maximum return on clients� investment in technology. From end-to-end, we design and deliver complete automation solutions that absolutely meet project objectives. IndustrySearch is Australia's leading online information and advertising source for industry. With over 300,000 regular visitors and 30,000 eNewsletter subscribers, we help businesses make informed decisions by delivering trusted content, up-to-date industry news, and comprehensive information on suppliers of machinery, equipment, products and services. At Intellect Automation our highly qualified engineers holds significant expertise on in the provision of process control solutions, electrical engineering services, and system integration management. Our reputation is built on technical expertise, professional approach and commercial integrity. With a dedicated team of dynamic, qualified professionals we provide optimal engineering solutions meeting client requirements. We build long term, successful partnerships with our clients based on mutual trust and respect. iOpen Pty Ltd is a wholly owned Australian company that specialises in the supply, service and support of automation products and solutions for plant business, process control and factory automation. We are partnered with leading global automation manufactures to ensure that we can provide our clients with best fit for their needs and best in class products and system solutions. Building on 30 years of experience in the process industries, JBL Consulting Pty Ltd offers specialist services to assist your business. Technology Development - taking new technology from the laboratory to beneficial production requires careful consideration of uncertainty through the process. We can help you maximise the success of your investment in improving your business. KOBOLDMessring GmbH, one of the leading international instrumentation engineering enterprises, was founded in 1980 by Dipl.-Ing. Klaus J Kobold. The company's purpose is to develop, manufacture and sell instruments for monitoring, measuring and regulating the physical quantities of flow through, pressure, level and temperature. The devices are used in virtually all sectors of industry. The variety of measurement methods available, and the rapid adaptation to technical advances, are what ensure that the high application-specific requirements set in the various branches of industry are met in full. Today, Kraus & Naimer employs some 1100 people worldwide and manu�factures around 4.3 Million switches per annum. The world's smallest cam switch has been designed according to the motto "We made it better, now let's make it even better". KROHNE has pioneered developments in flow, density and level instrumentation worldwide for over 80 years. For the last twenty five years, KROHNE has been providing solutions to Australian industries. KROHNE Australia Pty Ltd conducts business across Australia, New Zealand and the greater South Pacific. For over 30 years, Leuze electronic Australia / NZ has been successfully marketing a range of innovative sensor & safety product range providing solutions for industrial automation in Australia/ NZ and around the world. We are specialists with strong application know-how and comprehensive industry knowledge. We always examine customer processes in their entirety so that we can develop efficient solutions. DistributionNOW will be�recognised as the market leader�in supply chain management�through superior customer�service, by leveraging the�strengths of our employees,�processes, suppliers and�information. Electronics technology is used in many areas of modern society, including telecommunications, manufacturing, computers, transport, power generation, entertainment, consumer appliances, environmental control and medicine. At Macquarie you�ll gain the knowledge and skills required to work with electronics technology in these areas. Madison is a manufacturer and distributor of technology infrastructure and hardware across cabling, networking, wireless, and audio visual disciplines. Australian owned and operated for over 25 years, Madison has been keeping Australian homes and business well connected. Which is appropriate, because our brand promise is Well Connected�. The principle behind our brand promise is that by working with Madison, either as a valued supplier or customer, you are well connected. It�s how we connect to our market, and it�s how we help you connect to your world. With Madison, you are Well Connected�. Maser Australia is a provider of advanced technology solutions sourced from leading international supply partners across the telecommunications, enterprise, industrial and defence markets. Maser Australia has developed a wide ranging customer base ranging from all the major mobile operators, to major ISPs, state and federal government departments, emergency services, utilities, major industries and mining. Megatronic Power Systems is a Control Systems Engineering, Electrical Engineering and Industrial Automation company specialising in Electrical & Control Systems design, integration, commissioning, and maintenance. From technical design and implementation to the operator interface, every detail receives specialist engineering precision that both our customers and ourselves are proud of, delivering superior outcomes for your business resulting in increased productivity and reduced downtime. From an operation and maintenance perspective, we take a pro-active approach to identify all current and potential risks to your operations and advise our clients on the appropriate preventative action. Mescon - bridging the gap. Mescon are experts in assisting companies to maximise their manufacturing efficiency and profitability through the utilisation of MES and other planning and control systems. Mescon can design and implement a fully tailored solution to meet current and future needs for our clients. - Our experienced PLC engineers work with the customer to operate the plant exactly as the customer requires. PLCs are purpose-built computers that monitor sensors and activate devices. - SCADA provides operators with a window into the process, a visual format displaying current state of the plant, short term history and alarms. - Implementation of MES results in significant opportunities for process improvement and cost savings. Metasphere has been involved in the remote monitoring and control business for over thirty years; improving process efficiency, reducing costs, enabling our customers to meet regulatory requirements and implementing some of the most innovative solutions that integrate telemetry with business systems. Mitsubishi Electric Australia offers a complete suite of Automation products. Mitsubishi Electric automation includes the MELSERVO range of servo motor and servo amplifier products, Graphic Operation Terminals (GOTs), Programmable Logic Controllers including the powerful System Q, as well as the best selling FX Family, and the FREQROL range of variable speed drives (VSDs) and NC/CNC equipment. Moore Industries � The Interface Solution Experts � a world leader for more than 40 years in the design and manufacture of interface instruments for industrial process control, system integration, and factory automation. Since the establishment in 1985 of Moore Industries Pacific to service the Asia Pacific Region our network has grown to four Australian offices and over 20 distributors in the region. In 2005, Moore Industries acquired the fieldbus device couplers and power supplies product line of Hawke International, and formed the new division MooreHawke. In Australia to complement the Moore Industries signal conditioning range we also offer the Fuji range of DP & Pressure Transmitters, and the Baumer Process range of Temperature, Level and Pressure Instrumentation. Established in 1964 as a private electrical engineering practice, Norton Consultants (formerly R.M. Norton & Associates Pty Ltd), is dedicated to providing clients and the general public with the safest, most efficient, most reliable, cost effective and technologically advanced plant and equipment available. Initially directing its interests to medium and heavy industries including mining, petrochemical and industrial process plants, in 1972 the practice expanded to form a building engineering services section offering full design, documentation and contract supervision services (electrical and mechanical) to private, government and institutional organisations, whilst retaining specialised services in the fields of industrial process control automation and instrumentation. We use our deep industry and vendor knowledge to transform the needs of our customers into outcomes that exceed expectations. For over 25 years NVMS has been delivering sensors, instrumentation, monitoring and management systems for condition monitoring, stress and strain, environmental and occupational noise and vibration. At NVMS we always find a solution. We pride ourselves on being able to design and develop bespoke solutions to meet the needs of customers when standard solutions do not. Our partners include GE Bently Nevada, Bruel & Kjaer, Hottinger Baldwin Messtechnik GmbH (HBM) and Connection Technology Center (CTC). Oceanic Controls is the exclusive representative for Cameron Measurement Systems in New South Wales, Victoria, Tasmania and South Australia. Barton, NUFLO, Cliff Mock and Caldon are some of the industry leading brands offered by our company. Oceanic Controls is an Australian owned company delivering process instrumentation solutions for the oil, natural gas, coal seam gas, Cryogenic, refining, power, mining and marine industries. With over twenty years experience in the process industries we can offer a solution to meet your most challenging process instrumentation requirements. PB Automation specialises in Industrial Automation solutions. With over 20 years experience in the field we still offer the flexibility, client focus and personalised attention that goes with being a small company. We take pride in offering our clients "Control Systems with a difference". To us that means well-engineered, well-documented, user and operator friendly and low maintenance. We support the principle of "Getting it Right the First Time". Our projects are mainly in (but by no means limited to) the field of Materials Handling. Based in Melbourne (Australia), PB Automation travels throughout Australia and abroad to meet our clients' needs. Pacific Automation provides premium products and technical support for industrial automation, hazardous area, mining and lighting applications across Australia. With our on-site technical workshop and experienced technicians, we not only source and supply high-quality products, but have the in-house skills and product knowledge to customise them for diverse applications. Having built strong partnerships with global manufacturers, including Ampcontrol, Balluff, Danfoss, New Macey, Pepperl & Fuchs, Raytec, SA Equip and Weidmuller, we can access the best-in-class products for the Australian market. With offices in Perth and Brisbane we can supply and customise solutions for day-to-day maintenance routines or specific projects. PAS provides process safety, cybersecurity, and asset reliability solutions for the energy, process, and power industries worldwide. Our ICS cybersecurity, Automation Asset Management, and Operations Management software and services support safe, secure, profitable, and compliant operations across the complex, heterogeneous, and proprietary process automation infrastructure. PAStech provides process automation solutions which are individually customised for specific client requirements. We can provide a concept to completion service, enabling us to build strong relationships with our clients. Specialising in the Oil and Gas industry PAStech�s team of engineers and technicians are able to optimise our clients operational performance through process automation systems that are technologically advanced whilst remaining both reliable and user friendly. Commissioning - PAStech specialises across all areas of process automation control, instrumentation and electrical using experienced engineers and technicians, assuring optimisation and quality to our clients. Consultancy - PAStech has a team of professional engineers who work hand in hand with our clients from design concept through functionality specifications. Pepperl+Fuchs designs, produces and distributes electronic sensors and components for the global Automation market. Continuous innovation, enduring quality, and steady growth guarantees continued success. The Factory Automation Division is a leading manufacturer of a wide range of industrial inductive, photoelectric and ultrasonic sensors. Complementing this line of mostly binary sensors, we also offer complex sensors, identification and communication systems. The Process Automation Division is the market leader for intrinsically safe components and intrinsically safe decentralized peripherals. Our products easily connect with Fieldbus Components and allow the simple design of Fieldbus Topology. Phoenix Contact is committed to provide excellent direct support and reliable service for its leading range of connection, interface and automation solutions on a certified ISO 9001:2000 level. Australia's diverse industries including mining, dairy industries, manufacturing, transport and process and control industry are technical environments that require a high degree of expertise and face to face support to satisfy the demands of our customers. Outstanding German engineered products together with strong local support build the foundation of success for users and supplier. Extending our leading market position by focusing on the current and future requirements of the versatile Australian market is a key goal of our operation. Over the past 99 years, Powerflo Solutions has earned an Australia-wide reputation for engineering excellence. We are leading importers and manufacturers of a wide range of products - principally high quality valves and instruments - serving virtually every industry in which liquids or gases are controlled or measured. Our experienced Technical Support Teams will ensure you get the right product for your specific application... and every Austral Valve is designed and manufactured to the relevant Australian or accepted Industry Standard. Pressure and Safety Systems is the Australian importer, stockist and distributor, service and repair agent for several world renowned manufacturers of safety and relief valves, liquid level gauges and rupture discs and explosion panels from the USA, UK and Europe. Pressure and Safety Systems has supplied safety relief valves, liquid level gauges, process and control valves and associated equipment, to general industry as well as the oil and off shore gas rigs, food and pharmaceutical manufacturers, the power industry and construction since the 1960's, and most recently has become a leader in the supply of safety and relief valves to the coal seam methane gas industry. Backed by the extensive experience of their international suppliers and with access to sophisticated computer sizing programs clients are assured of receiving expert advice as to the most suitable pressure relief device to meet their specific requirements. Pricam Automation has extensive technical expertise, backed by world class suppliers, to enable the accurate measurement and control of liquids, gases and compressed air. Industries we cover: Water/wastewater, Food and Beverage, Pharmaceutical, Power, HVAC, Petro/chemical and general Manufacturing & Processing. Pricam specialises in ultrasonic clamp-on, positive displacement oval gear, Coriolis and thermal mass flow meters. Select the right flowmeter and correctly implement and commission your meter including set up, to ensure a long lasting and successful outcome. A supplier of specialty measurements, general instruments and liquid dosing equipment for control of water and waste water treatment process and general industry. Specialty measurements include dissolved oxygen, turbidity, suspended solids concentration, sludge blanket level, open channel flow and free chlorine measurement. General instruments include measurement and control products for flow, level, temperature, pH, ORP and conductivity. Liquid dosing equipment includes peristatic pumps, solenoid pumps and motor driven dosing pumps. Process IQ is a Perth-based METS company providing measurement and control solutions to improve throughput, recovery and efficiency for mining, metallurgical and minerals processing industry globally. We specialise in online mineral, elemental and cyanide analysis using advanced instrumentation and advanced process control. Process IQ can implement a full solution to help grinding throughput optimisation in milling circuits, flotation recovery improvements and efficiency and recovery for gold plants. Prochem Pipeline Products provides world class stainless steel products � focussed around quality management, expert technical support, and a total commitment to our valued customers. Our proactive approach to effective partnerships enables us to provide solutions for all your piping and instrumentation needs. Prochem delivers quality stainless steel pipe, fittings, instrumentation and specialised valving products through nine stocking branches across Australia, Singapore and Thailand. PRTS are Consulting Engineers, specialising in instrumentation and controls. We operate as Engineers and Suppliers of I & C products as well as PLC�s and variable speed drives, both used widely in the process industry. We provide engineering, supply and after sales service, for the Sugar and Mining industry of North Queensland, PNG, Tanzania, Laos and Indonesia, including local chemical plants and municipalities. Pyrosales is one of Australia's longest established and largest manufacturers of precision temperature, level and flow measurement gauges, sensors and instrumentation, as well as calibration devices. The company has developed a reputable position in Australia and internationally as a leading provider of specialist design, manufacture and repair services, especially in applications involving extreme heat conditions. Proudly Australian-owned, Pyrosales has operations in Sydney, Melbourne and Brisbane as well as in South America, China and the United States. The company remains a leading exporter of temperature sensors to Singapore, Philippines, Indonesia, Thailand, Hong Kong, India, China, Belgium, Germany, Malaysia, Zambia, South Africa, Sri Lanka and South America. As a leading supplier of products, systems and services for explosion protection,�R STAHL�offers several decades of experience. Wherever there are explosive gas-air mixtures or dusts, our products prevent explosions. With the highest degree of reliability and�quality�we ensure the safety of persons, the environment and technology. As a traditional company with�more than 80 years' experience�in explosion protection, R STAHL covers all ignition protection classes for the explosion protection of electrical equipment or systems. We are always in a position to design and implement the optimum solution. Our broad product range allows explosion protection ranging from a�connection box�to a�fieldbus system. International certifications, approvals and patents underline our competence and allow our�products and systems�to be used worldwide. Remtron Automation, a leading provider of Automation, Process Control and IT related products,applies knowledge and resources to build cost effective, results-based solutions, demanded by today�s digital economy. We are proud to be partnering with class leading global products such as: ABB, B & R Automation, Sick, Rittal, Phoenix Contact, Eaton Powerware, Endress+ Hauser, Belden, Hirschmann, Idem, Fluke, Jumo, Brady, Autonics and Somar. It is Remtron Automation's extensive product offering that can deliver the best - Infinite Solutions. Robert Bosch (Australia) Pty Ltd is a regional subsidiary and part of the global Bosch Group. Bosch has had a presence in Australia since 1907, and generated annual revenues of more than 680 million Australian dollars per annum in Oceania, and employed over 1,300 people working primarily in our Melbourne and Sydney locations in 2012. Our Australian activities cover a diverse range of product groups including security systems, power tools and accessories, automotive components and engineering services, aftermarket parts, drives and control technology, solar energy, software innovations, hot water and heating systems, and communication center services. Rockwell Automation Australia is the Australian subsidiary of Rockwell Automation - a world-leading provider of industrial automation power, control and information solutions. With offices in most capital cities, the company's sales, technical and training resources are complimented by a national network of distributors and system integrators to provide the immediate, local service and support you need. Complete Automation is our commitment to helping you meet your automation goals - whether that's decreasing your time to market, lowering your total costs, or integrating your operations from shop floor to the top floor. SAMSON - A name recognized worldwide as a synonym for high-quality work, entrepreneurial spirit and innovative strength. The company is not only known for a complete product line in instrumentation and controls, but also offers the most modern integrated automation systems. The field of expertise extends from heating and air-conditioning technology to applications in the largest chemical plants. SAMSON operates wherever there is controlled flow of vapors, gases, liquids, chemicals. Any SAMSON product is developed in-house from the initial concept right through to the production stage. SAMSON's investment in R&D is considerably higher than the average for the industry. The objective behind it being to develop products which are tailored to the markets and offer extraordinary efficiency and value for money. Schneider Electric is the only global enterprise devoted exclusively to Electrical Distribution, Automation & Control. Our goal is to enhance our customer's performance by providing increasingly comprehensive, effective and easy-to-use solutions. We deliver an unparalleled lineup of products and solutions for the Building,, Industry, Energy & Infrastructure markets through our world-leading global brands; Meriln Gerin, Square D & Telemecanique. Brands that guarantee superior quality, safety, and services. Security Infrastructure Solutions (SIS) is a specialised Industrial Control System (ICS) security consultancy organisation. We provide solutions for organisations that own and operate critical infrastructure, strengthening the security posture of ICS environments from cyber threats. SIS specialises in the architectural design, vulnerability assessment and development of resilient strategies for ICS environments. We are trusted leaders in our field, working globally with our clients towards achieving ICS robustness. Sensor Measurement is a wholly Western Australian owned and operated company established in 1988. We supply high-quality instrumentation, sensors for automation, machine safety and connectivity products directly from world-renowned international manufacturers. By forming alliances with our key suppliers, our customers benefit from the latest technical developments that we provide ensuring businesses are more competitive in a demanding marketplace. A world-class range of engineered valve products and services that protect plant, optimise performance and reduce risk. Put simply, the Severn Glocon Group stands for excellence � in our product design, in the valve management and traded product services we provide and in our understanding of the operational realities faced by process plant operators around the world. The design and manufacture of severe service control, choke and subsea valves is at the core of what we do, providing performance excellence and asset optimisation in global energy markets � whether for new capital projects, or established plant. With over 50 years� experience, the company also provides technical leadership and engineering services that deliver world-class quality, reliability and safety using data from our unique performance evaluation systems. SICK is one of the world's leading producers of sensors and sensor systems for industrial applications. Sensors and systems of the types developed, produced and sold by SICK are classic investment goods. The products and associated services are sold almost exclusively to customers in the industry. SICK sensors touch people's lives every day, making their lives easier, protecting from danger and providing them with better service. Sales Engineers are located in Melbourne, Sydney, Brisbane, Adelaide, Perth, Launceston, Hobart, Auckland, Wellington and Christchurch. Siemens commenced operations in Australia in 1872 and is now one of the country's most reliable and trusted brands. With well-established businesses in both Australia and New Zealand, Siemens is a diversified technology based solutions provider specialising in the areas of water, energy, environment, healthcare, productivity, mobility, safety and security. Through these eight solution areas, Siemens is meeting the demands placed on businesses by the four global megatrends � climate change, demographic change, globalisation and urbanisation. Siemens in Australia and New Zealand is part of the Siemens global network of innovation which operates in 190 countries throughout the world. Sudel Industries is a leading Australian Instrument Calibration Service Company that provides a breakdown and repair service to all our valued customers. By using our Maintenance Management System, we maintain and enhance our customers on-site maintenance and / or calibration regime, to remove the headache of remembering what, where and when any of your work needs to be performed. From the simplest calibration task to complete instrument shutdown maintenance and calibration work, we are capable of meeting your instrument service needs. Our corporate philosophy is built on a commitment to quality, service and customer care, which ideally places us to offer a comprehensive and efficient service to every individual client, whatever their needs. Synertec is a multi-disciplined engineering consulting firm, delivering specialist engineering and compliance services across complex, high risk and highly regulated industries. Synertec is dedicated to provide innovative and practical solutions to clients with extensive global expertise, experience and unique management systems. Electricity is the universal means by which we power our cities and homes, and electronics is the enabling technology that is present in every appliance we use. How we use electricity is a more important concern and the movement towards sustainability has brought about a greater need to find renewable energy resources. Can�t find what you�re looking for? New electrical apprenticeship program - E-Oz (Energy Skills Australia) is running an Australia-wide pilot program available to TAFE SA-trained Electrical apprentices. Techinspect is a gas detection, instrumentation and electrical contracting company, with its head office located in Brisbane. Founded in 2004, Techinspect is a wholly Australian owned and run business with a highly skilled workforce trained to provide quality service and products. Our operations cover everything from sales and service service to maintenance and installation. We calibrate gas detectors and gas detection systems, both in our workshop and at site. As well as calibrations, we also supply, install, repair and maintain all brands of gas detection equipment. Our other business sectors cover sales and installation of refrigeration monitors, ongoing maintenance to refrigeration systems, cutting costs on leaks and providing the best solutions for refrigeration. Techinspect - Your first choice in gas detection and process instrumentation. TechRentals are your technology solution experts specialising in short and long term rental. Rent, hire over 16,000 items in our inventory. Whatever your requirement, we are sure to have the right solution for you! TechRentals offers our customers more than just rental. TR Services refers to our range of value added programs designed to assist you in your rental needs. Whether you need specialised pre-configuration of equipment, on-site assistance or data download at the end of it all, TechRentals can tailor a package specifically designed for your requirements. Established in 2002, Teksal is an Australian business with offices in Perth and Brisbane. Teksal specialises in machine, automation & process safety solutions including; safety control systems, gas detection, valve interlocking, high voltage interlocking, partial stroke test safeguards and hazardous energy isolation products. Our company's strengths lie in the quality brands we represent and our competency to deliver a comprehensive safety solution. As a specialist supplier, it is our mission to deliver appropriate solutions to help our customers minimise risks in their workplace. We accomplish this by providing a high level of knowledge and support, as experts in the products we sell. 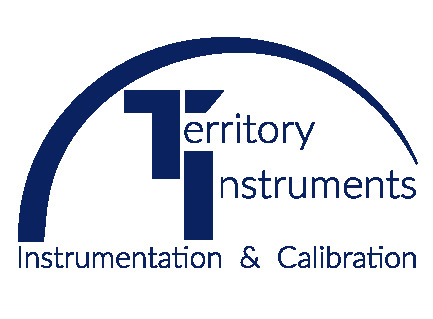 Established in 2000 Territory Instruments is a 100 % NT owned and operated company employing professional, experienced and skilled local staff. We specialise in process control optimisation via instrumentation and electrical engineering support from the feasibility stage through to maintenance and modification of existing plant and equipment. Being able to accurately measure and control the process allows our clients to achieve excellence. Territory Instruments is dedicated to the aim of being an industry leader in our field of expertise. We achieve this objective by tailoring our service to the needs of the customer, selling quality products and employing qualified people. Our office in Darwin is centrally located to facilitate sales and service throughout the entire region. Thales Calibration Services is one of the most comprehensive laboratory and field service facilities in Australia. With capabilities including testing, calibration and repair for Dimensional Metrology, Electrical, Heat and Temperature, Mechanical and Pressure systems, TCS offers a one-stop service for defence, aviation, automotive, food, manufacturing, engineering, petrochemical, pharmaceutical, medical, R&D and service sectors. A team of technical, engineering and customer service professionals provide both experience and expertise in maintaining equipment at peak performance, with unrivalled commitment to customer service. Thermo Fisher Scientific Inc is the world leader in serving science, enabling our customers to make the world healthier, cleaner and safer. With annual revenues of $10 billion, we have more than 30,000 employees and serve over 350,000 customers within pharmaceutical and biotech companies, hospitals and clinical diagnostic labs, universities, research institutions and government agencies, as well as environmental and industrial process control settings. Serving customers through two premier brands, Thermo Scientific and Fisher Scientific, we help solve analytical challenges from routine testing to complex research and discovery. Today, Thermon continues to be an industry leader in the specialized field of heat tracing technology. The vast knowledge base of Thermon�s employees, combined with the most extensive line of heat tracing products and design tools available, optimizes the customer�s �cost of ownership� by ensuring that all aspects of the application have been considered. TransTech is a leading Process Controls and Electronic Lightning Protection module designer and manufacturer. Some of the World�s largest Companies and Utilities use and specify TransTech products. TransTech is registered by AusIndustry as a valid R&D facility, assuring users of professionally designed products. In addition to its Manufacturing Division the Company provides experienced and qualified technical application assistance and solutions on a National basis to many of Australia�s Major Mining, Industrial and Public Utility organisations in the areas of position sensing & motion controls / process controls & transient protection / electrical & control room design technology. Our focus is to provide manufacturer-direct access to specialized equipment for clients on the Western side of Australia and into South East Asia. Our clientele includes Mining, Oil and Gas, Processing, Chemical, Public Utility, Consulting, Contracting and Engineering companies. * Hardware re-certification practices and procedures. We also provide a range of products and services tailored to meet the practical needs of our customers. Using hardware from our suppliers, we offer customized mobile based business solutions for paperless maintenance and data gathering activities. At Treotham Automation, we deal with our customers on the basis of a trusting relationship. As a leader in automation control we have a broad capacity to provide systems and solutions using a diverse range of products and components. In 1997, Trotec was founded and formed through a research branch of Trodat. Since the company history beginnings, we have grown as a world leader and laser manufacturer in the field of laser technology. Trotec proudly develops, manufactures and markets laser machines for marking, cutting and engraving solutions. We have developed an extensive range of laser and rotary materials, including TroLase, TroPly, TroGlass and laser-safe wood � all specifically designed for laser manufacturing. We set new and impressive standards, servicing customers in over 90 countries and employing 500+ members of staff across the globe. At Trotec, we are always expanding, and embracing our international growth. We have an exceptionally strong, international market presence, with 16 sales subsidiaries. 97% of Trotec�s laser manufacturing is exported from our upper Austrian facility. Tyco Gas & Flame Detection is one of the largest global manufacturers of gas and flame detection products, comprising five internationally-known companies � Detcon, Simtronics, GMI, Oldham, and the gas and flame detection division of Scott Safety � under one Tyco brand. We are strongly committed to providing innovative gas and flame detection solutions that protect people, assets, and the environment. With more than 100�of years of combined experience, as well as a comprehensive portfolio of products and services for diverse industries, �Tyco Gas & Flame Detection is the unmatched leader in the gas and flame detection marketplace. Ultra-Dynamics Pty Ltd seeks out innovative technical solutions to the problems facing industry in today�s increasingly competitive business environment. Our emphasis is on the development, sales, marketing and technical support of cost effective process improvements designed to provide improved process control. We strongly believe in the maxim that �if you can�t measure it you can�t control it�. All our products are intended to improve process efficiency and hence minimise production costs. We specialise in the development of innovative process monitoring and control technologies and one of our core strengths is the ability to develop new technologies as well as adaption of existing technologies to new applications as they arise. Our market is wide ranging and includes all types of minerals processing plants, power generation as well as other manufacturing industries. We encourage potential customers to approach us with any problem requiring a technical solution. The School of Mechanical and Electrical Engineering partners with students of diverse backgrounds in their pursuit of a rewarding career in the engineering of electrical, mechanical, computer and communication systems. We specialise in robotics research that creates positive change for government, industry and the wider community. At Vector Industrial Supplies our greatest strength is the technical support provided by our expert team. We strive for excellence in service and after-sales support. Our direct and reliable delivery allows our customers to finish projects on time and on budget and our global partnerships ensure access to the best products available on the market. Vector Industrial Supplies is proud to have formed a distribution partnership with Sicame Australia as the authorised re-seller to promote and supply Sicame products into the West Australian market. This appointment enables Sicame to considerably improve the level of service for products in WA as we will now have a local stock holding along with localised support to assist with technical enquiries. We look forward to working closely with Sicame to make this a positive change for all our customers in WA. ?Vector Industrial Supplies is also honoured to have formed a distribution partnership with BARTEC. VEGA Australia Pty Ltd is a specialist supplier of level and pressure instrumentation. The technologies that are widely utilized include: Hydrostatic, Radar, Ultrasonic, Guided Microwave as well as Vibration, Capacitance, Conductance and Ceramic cell pressure transmitters. The different level measurement technologies permits consultants, engineers and end users to select the most appropriate instrument for the application. VEGA Engineers are located throughout Australia to assist in the application, selection and commissioning of level and pressure equipment. Our vision is to make devices and systems absolutely safe and reliable everywhere in the world, and this regardless of who the operator is. This is why we are always investing in the development of new products for electrical connection technology and automation. At the same time, we are continuing to expand our global network as an independent family-run company operating on an international market so that any and all of our customers or potential customers can benefit from WAGO innovations at any location in the world. Weidm�ller is the leading manufacturer of connection components, interface devices and services, for the electrical and instrument industries. The Weidm�ller product portfolio includes terminal blocks, PCB connectors and terminals, rotected components, relay sockets, power supplies, overvoltage protection and process instruments suitable for all applications. Electrical installation and marking material, basic I/O components and a variety of tools round off the range. As an OEM supplier, the company sets global standards in the field of electrical connection and interface technology. The requirement for industrial grade data communications continues to grow as industry understands that its needs differ from that of the corporate IT world. In industrial environments operating environments are tough, expected lifetimes are in excess of 10 years and the impact of failure in the field can lead to business threating situations. These factors have resulted in a demanding and fast growing market place. The company is growing rapidly and currently has over 200 employees and global sales in excess of �50m. All development and production takes place in Sweden at the company's facilities in Stora Sundby and V�ster�s. Yokogawa products and services have been available in Australia for over 30 years, at first through Australian agents, then from April 1987 to September 1989 as a joint venture company with Parameters Pty Ltd. In 1989 the company was renamed Yokogawa Australia Pty Ltd, a wholly owned subsidiary of Yokogawa Electric Corporation of Japan. We are an energetic, service focused company and provide the hardware, application knowledge, process knowledge, engineering knowledge & support to assure optimum performance for our clients. Yokogawa Australia currently incorporates branches in New South Wales, Queensland, Victoria, South Australia & Western Australia. We are a growing company and currently employ over 240 staff throughout Australia. As a company our goal is to position Yokogawa as the first choice for both new and refurbishment projects in all major industries throughout the Australasian region. Zedflo Australia is a wholly-owned Western Australian company with over 30 years� experience in supplying process calibration equipment and electrical instrumentation to the oil & gas, process, mining and chemical industries in Australia. When you�re looking for process calibration or industrial instrumentation, you want reliability but at competitive pricing. At Zedflo, we not only offer attractive pricing, but also the longer-term economy that comes with a supplier who responds promptly and accurately to our customers� enquiries, and takes responsibility for the after sales service of the products we sell. ZI-ARGUS employs a large number of highly skilled and experienced specialists executing turn-key Industrial Automation projects throughout the Asia-Pacific region. The company has established an excellent reputation in the market and operates from offices in Australia, Indonesia, Philippines and Thailand. The ZI-ARGUS Industrial Automation business began more than twenty-five years ago and since that time has significantly grown both organically and through the acquisition of leading integrators within the region. Today, ZI-ARGUS is a market leading independent system integrator which ensures that our customers receive the best solution for their specific needs and requirements.